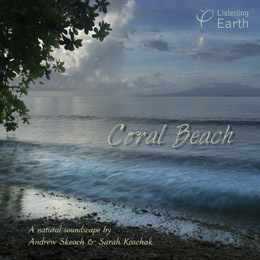 This album will take you to a secluded beach on a wild, tropical island. The sheltered waters on the lee side of the island are exceptionally calm; the sea is like glass, mirroring the tropical sky. 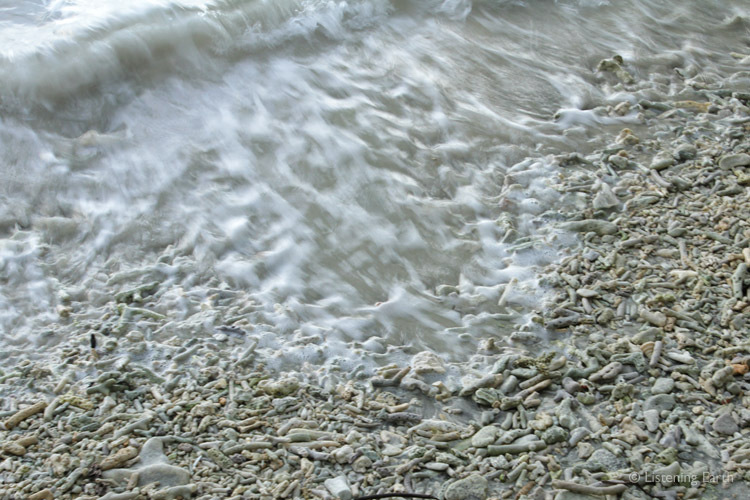 Gentle waves roll ashore, and as they recede, coral fragments tinkle delicately in the backwash. Among the coral debris, hermit crabs scurry busily, carrying their crazy variety of shelly homes. From the rainforest behind come the occasional calls of lorikeets, mynahs and fruit pigeons. 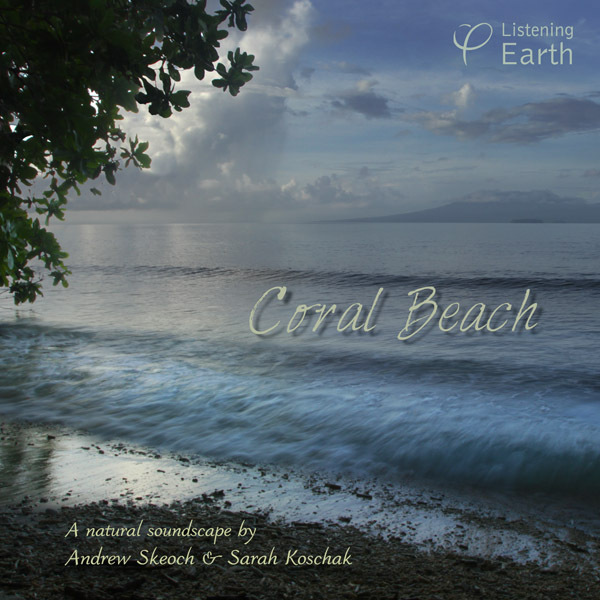 This is a tranquil recording from a remote and idyllic location. This album was made on a wilderness island in the tropical Pacific. We'd gone there to record the rainforest and its endemic species; recordings we have released on the albums 'Monarchs of Tetepare' and 'Whistlers of Kolombangara'. We explored a rainforest path which traversed the island, and at its far end we came across a secluded strip of beach. The lowland rainforest grew right up to the water's edge, and mangroves lined the shore. After recording in the forest, we brought the microphones to the beach and set them to capture the wave wash for a while, and this single-track album is the unedited result.